After 25 years of animation, Pixar will always be a part of every people's childhood. Walt Disney’s arrival in LA in the year 1920s marked California as a magnet for the animation artists of the industry. It has been a home for a number of leading studios, known to the world as a global center for arts and animation. One of the most established animation studio is Pixar, makers of the famous Toy Story Trilogy, Ratatouile and Despicable Me. As Pixar celebrates its 25 years of Animation, they made a very wonderful video of their past works which changed the world and childhood of many people around the globe. 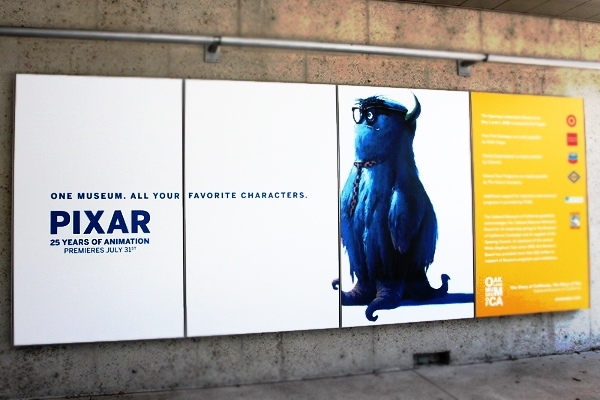 The PIXAR: 25 Years of Animation provides a look at the arts of the respected studio, showcasing the creative work behind its wildly successful computer-animated films. After its grand opening at New York and its five-year international tour, the exhibition comes home to Oakland. The OMCA presentation displays the artwork of the company. Watch the video below and get amazed.